Snowboarding is one of the most popular recreational winter sports, and theres no shortage of choice when it comes to snowboarding gear. When you’re descending a slow-clad slope with a snowboard strapped on to your feet, it’s reassuring to know your kit won’t let you down. From the early days of snowboarding, that took its inspiration from skiing, skateboarding, surfing and sledding, the technology used in snowboarding kit has moved at a rapid pace. Over a period of time, the sport has also evolved into different styles characterized by different techniques and equipment. Akin to any other sports, snowboarding too has its own risk. So if you are a beginner you should start by choosing gear that’s appropriate for your skill level, and the type of terrain you’ll be riding. Even though it seems to be a little expensive, selecting your kit, and make a statement on the slopes with your own unique style is a big part of the sport for many people. Unlike skiing, snowboarding tends to attract the use of longer, baggier gear. Changing trends in the fashion have its own effect in the snowboard gears too. A visit to any snow board shop will give you a glimpse of various brands of snow board kit. Standard snowboarding gear comprises of mandatory accessories like water-resistant snowboard jacket, water resistant snow board pants, goggles, snowboarding mittens or hand gloves, snowboarding boots, a snowboard with bindings. These days a helmet is common (and mandatory in many places) and most snowboard helmets are light and comfortable. Other protection such as wrist guards, knee pads, padded shorts and back protector can all be a wise investment, especially if you progress to doing tricks and catching air. Choosing a snowboard can be a tough job as they come in a wide variety of designs and shapes. 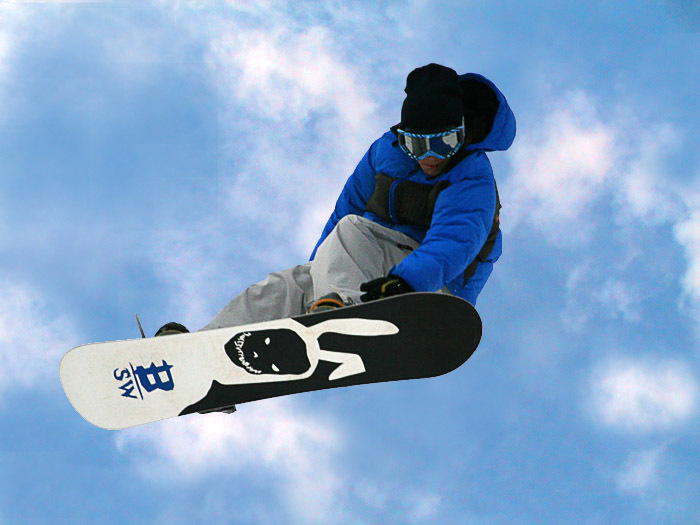 Two of the many types of snowboards available in the market are: Conventional Camber Snow boards ( a board that touches the ground in the middle of the board between the bindings and peels away the snow) and the Rocker/ Camber Combination boards(The one that can touch the snow at any number of points). As a beginner you may be unsure which is best for you, but a good snowboard shop assistant can help you in this regard. 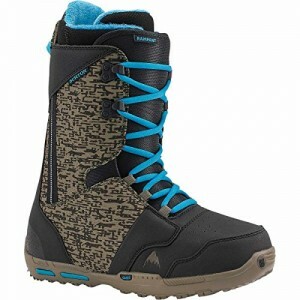 Snowboard boots are classified based on the ability level and style of snowboarding. There are beginners’ boots, free style boots, all mountain boots and free ride boots. You can find each of them being unique with respect to flex, comfort, heel hold and shock absorption. Two trendy accessories in the snowboard gear kit are the jacket and the trousers. Two widely used styles are Insulated snowboarding jacket & trousers and Shell jackets and trousers. The former as the name suggests has insulation to keep your body warm, whereas the latter is waterproof with no insulation ( you will have to attach an insulated layer). Some people prefer gloves on their hands, while many go for mittens. Gloves help in tying up the bindings while mittens keep you warmer. You can go for park gloves that are thin liners gloves advisable during the spring. Snowboarding goggles are needed for both UV protection and also to help with visibility in windy or snowy conditions. Goggles come with a variety of lens specifications, and some models have inter-changable lenses. Finally, before you jet off to your Winter resort, you’ll need a snowboard bag to transport your gear in. Snowboard bags will often have room for your all of your snowboarding gear including boots, bindings, board and helmet and they may even manage some of your clothing. They are lightweight, size adjustable and are available in different brands. Some bags even come with built in wheels to make them easy to pull along at airports etc. So there you are, a round up of the typical snowboarding gear you may want to add to your kit list. If you have a Winter sports holiday coming up remember that fitness is also important, and there’s some great training advice available over on theintermittentfastingdiet.com. If you’re shopping for equipment right now, why not take a look at some of Rock and Mountain’s fantastic deals on snowboard gear.